Disruptive behaviors in healthcare impact the employees, the environment, and the patient experience. Thousands of healthcare employees over the years have experienced or witnessed incidents of bad behaviors in the workplace by their colleagues. These behaviors range from eye rolling and gossip to yelling, undermining, and sabotage. However, out of all of the behaviors listed, the most common behaviors reported by healthcare employees were being yelled at, openly criticized, or mocked in front of others. Unfortunately, many times disruptive behaviors occur in front of patients and their family members. Sacred Spaces ensures respectful communication in patient care areas among all employees (physicians, leaders, support staff, nurses, etc.). Click here to learn more about Sacred Spaces. However, beyond the overt yelling, criticizing, and gossiping that occurs in front of patients, nurses can disrupt the patient experience in more subtle ways. When stressed, sometimes we say things in front of patients without realizing the negative impact it has on their perception of care. Other times we make excuses as to why we didn’t respond to their call bell due to something beyond our control. Although we may be right, being right doesn’t matter to the patient. What’s the difference between patient satisfaction and patient experience? 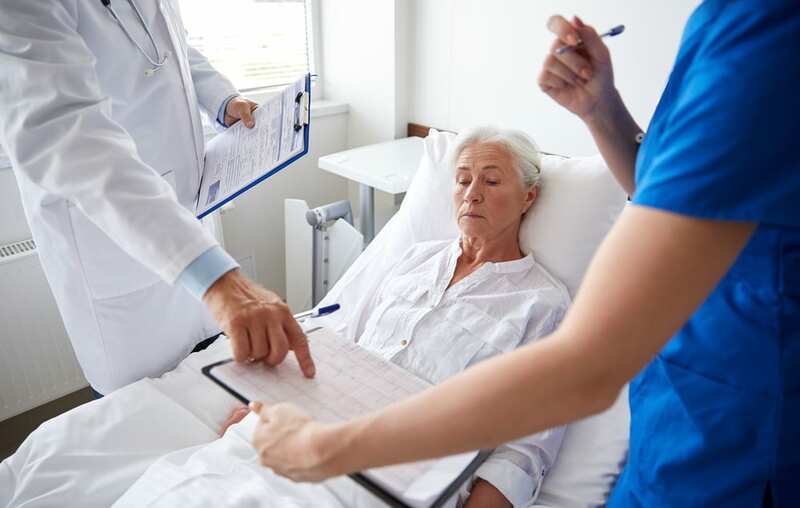 According to the Agency for Healthcare Research and Quality (AHRQ), patient satisfaction and experience ARE similar, however, being satisfied is more about whether or not their expectations were met. Their experience involves a range of interactions with members of the healthcare team from their admission through discharge. A patient’s experience is really the sum of all interactions they have with us. Well, bottom line is it shouldn’t matter whether you’re trying to improve your patient satisfaction scores or enhancing the patient experience, protecting patients from any additional stress and anxiety from OUR badness is the right thing to do. 1. We are really short-staffed today. Although this may be true, when you tell a patient you’re really short-staffed, they’ll worry that you won’t be able to take care of them, especially in a crisis. Patients will immediately become anxious about whether or not you’ll be able to meet their needs. 2. I have never done this before. If you are asked to do something you’ve never done before, you need to thoroughly prepare BEFORE you walk into your patient’s room. This might include reviewing the policy or bringing a more experienced nurse into the room with you. But please make sure you are not verbalizing your insecurity to your patient. The last thing you want to do is to scare them. Patients need to believe you are competent. 3. I don’t know. That’s what the doctor wrote. Ugh. This is one of my biggest pet peeves. As nurses, it is your responsibility to understand the plan of care for your patient – including what the doctor wrote. However, if your patient asks you a question about their care and you’ve been too busy to review the chart or discuss with the physician, tell them you’ll find out and get back to them. Don’t punt it to the doctor. It undermines our value. Patients need to view nurses as clinicians and a valuable member of the healthcare team. 4. I’m not sure why you’re on this medication. Although similar to #4, this one is so common and potentially more of a safety risk. Not only is this bad to say, but you should never ever give a medication to a patient unless you know why they are on it, what you have to assess before giving it, and what you expect as an outcome. This is both a patient safety and professional issue. You have to know. Patients need to trust we won’t make mistakes. 5. They don’t treat nurses well here. Patients see you as an extension of your hospital or clinic. When you badmouth your organization or your manager, you are creating additional anxiety in your patient. Instead of your patient focusing on recovering, they may worry that if you’re not treated well, you’re more likely to make mistakes. Although you may have legitimate complaints, sharing them with your patient is unprofessional. Just don’t do it. Patients need to feel they are in a safe place. Protecting patients and their family members from any disruptive behaviors – justified or not – is not only the right thing to do for them, but it’s the right thing to do for us. We get so caught up in our work and sometimes forget that healthcare is a service industry and that we are called to serve our public and each other. By honoring and defending the patient experience, where we intimately care for our patients, we are demonstrating the respect for the one sacred and precious life we each have. I’m curious. What else should you never say to a patient? Just add your “never say this…” in the comments below. You have an excellent site! And this article is one of the most useful of those I've read recently! With great pleasure I will recommend your site to all my friends! I wish you prosperity!